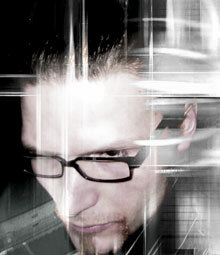 "Marc Horstmeier started C-Drone-Defect in 2000 and signed a contract with Synthetic Symphony/SPV. In 2001 the first album Neural Dysorder Syndrome was released. The feedback to this release was all the way positive and made a good position in the DAC (german alternative charts). 2003 CDD came in contact with NoiTekk and signed a contract for the second album NEMESIS. Daniel Myer (Haujobb) was enlisted for the mixing and the mastering. Musically and thematically NEMESIS deals consequently with what is implicated in the name C-Drone-Defect. The examination of members of modern society; want to vs. have to; the reflecting and the consuming; ambivalent behaviour of philistine bigots vs. analytic ego-concentration."